I don’t handle heat well. So summer cooking on a good day is outside on the grill or in a single pan. I’ll happily have some chopped up raw vegetables from our CSA, but the rest of the family usually wants something a little more than that. Takeout gets expensive and we easily fall into a takeout rut. I was recently asked if I would like to try The Foodery. I had heard of The Pantry and Just Add Cooking, but The Foodery was new to me and I decided to give it a try. The nice thing about The Foodery is that there is no cooking involved. I love to cook, but I hit my boiling point every once and a while and the summer heat will do that to me. 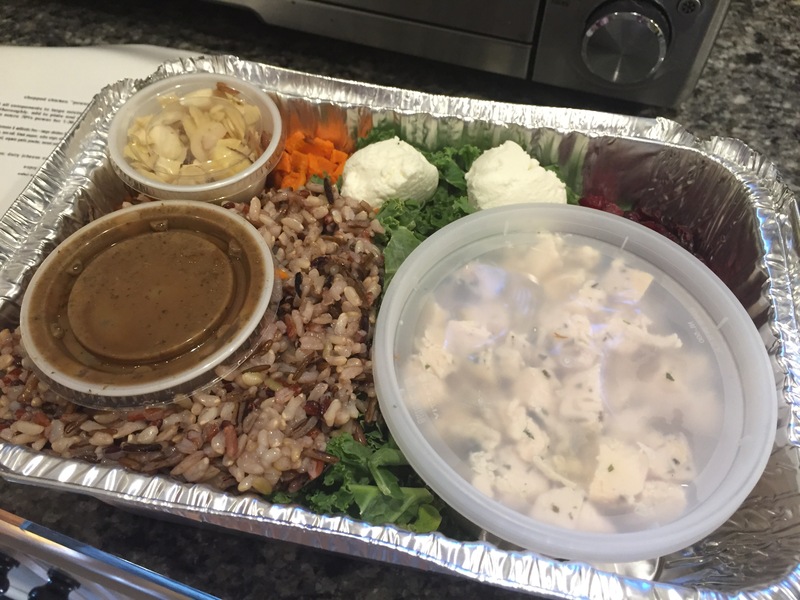 The Foodery delivers meals ready to be reheated. You order by midnight on Wednesday, minimum of $50, and your meals for the week are delivered to your door on Sunday between 6 and 9 p.m. Some meals are available in 4 person servings while others are 2 person servings. Servings are generous. This week, for example The Foodery customers will be enjoying a Hawaiian pork with pineapple brown rice and ginger cabbage ($26/2 person portion) or the lemon chicken and orzo bake ($32/4 person portion). Each week there is a selection of 6 meals to choose from and each meal lists potential allergens at the bottom. We sampled the Salmon, a chicken power bowl, and carnitas tacos. Each dish was tasty, reheated well and many lasted for a second meal for both of us (a 2 person portion). Because I like to cook, I won’t order regularly from The Foodery, but there is not weekly commitment, so I will definitely use The Foodery when I’m burnt out in the kitchen, or I just need someone else to make tasty, healthy, different food for my family.